1.) Direct your favorite web browser to smile.amazon.com [see screen shot below]. 2.) Type Silver City Gospel Mission into the search box below the phrase “Or pick your own charitable organization:” [see red arrow in screenshot below]. 3.) 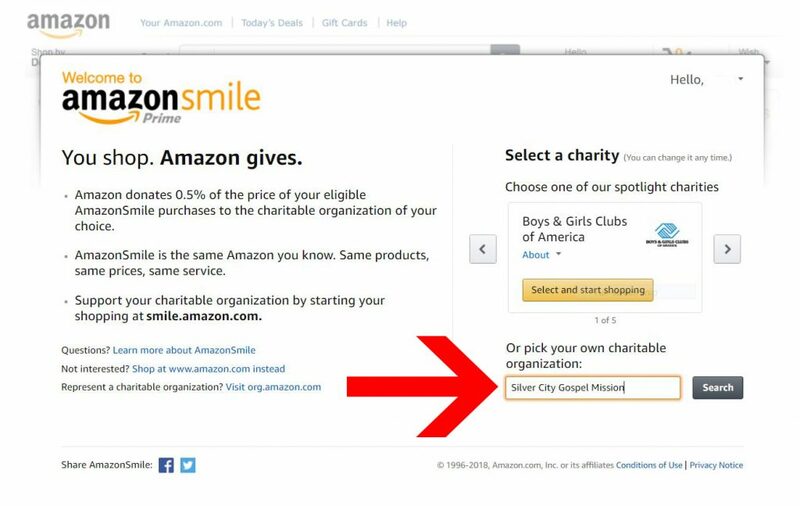 Verify the Silver City Gospel Mission as your chosen charitable organization [the Mission is already registered with Amazon, so they recognize the name]. 4.) 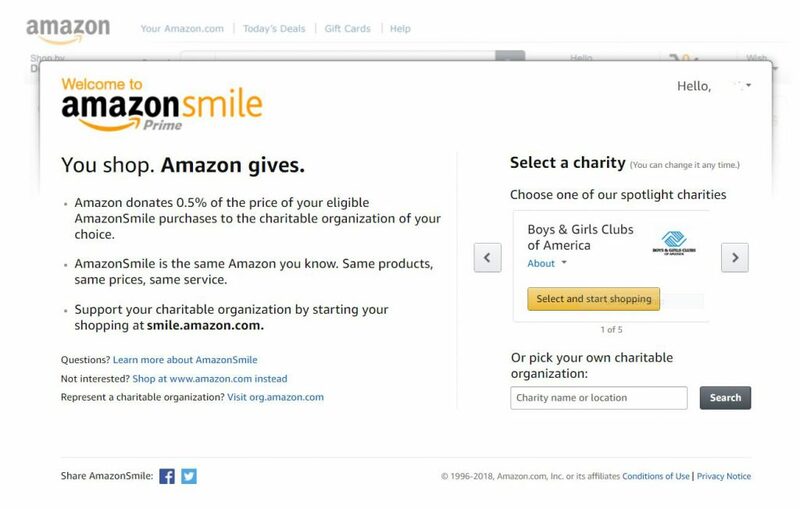 Agree and remember that in order to have your Amazon purchases apply to this program, you must log onto smile.amazon.com first. That’s all, folks. Thank you and God bless you for your continued support for the Mission. 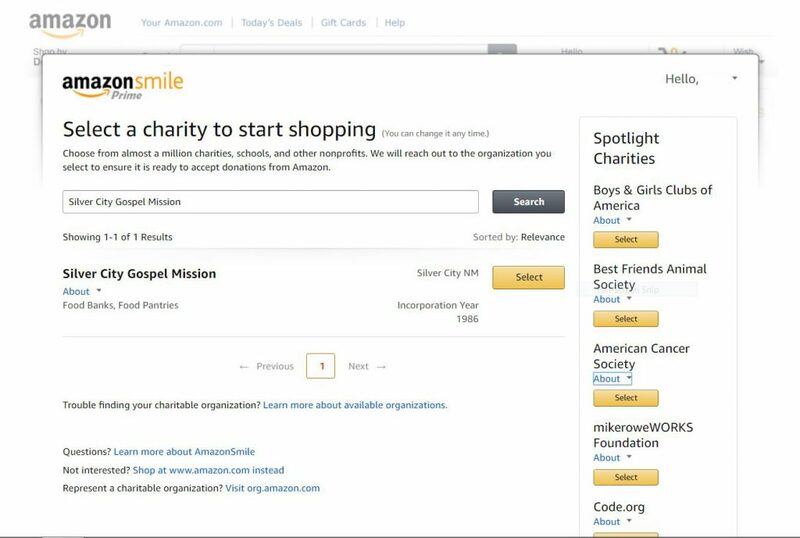 Share the post "Amazon Smiles on Gospel Mission"
This entry was posted in Uncategorized and tagged gospel, gospel mission, mission, silver city. Bookmark the permalink.